Little Caesars has launched a nationwide sale for, Detroit-style deep dish pizza,for a limited time from November 2 through November 15 at USD 6 in place of the regular price of USD 8. The Deep Dish pizza with its crispy-chewy crust, featuring eight perfect caramelized cheese corners, is a favorite with the fans. Liitle Caesars Pizza is known for its quality ingredients such as Fresh Cheese, dough made daily and sauce made from farm fresh crushed tomatoes. According to a release on MarketWired, Little Caesars is celebrating its best pizza ever, Detroit-Style DEEP!DEEP! Dish pizza, with the company’s first nationwide “sale” in more than a decade. Beginning November 2 through November 15, 2015, Little Caesars will offer its Detroit-style DEEP!DEEP! Dish pizza for just USD 6 plus tax where applicable. “We are so enthusiastic about our Detroit-Style DEEP!DEEP! Dish and proud to offer such a premium pizza to our customers,” said Ed Gleich, Senior Vice President of Global Marketing for Little Caesars. “Our DEEP!DEEP! Dish pizza has an incredible taste, epitomizes our quality, and fits the tremendous value and convenience for which Little Caesars is known. Whether you’re a loyal fan or trying our DEEP!DEEP! Dish pizza for the first time, I think you’ll be impressed by our DEEP!DEEP! Dish pizza and will be back well after the $6 promotion end”. The price offer has been promoted across social networks. On Facebook the post links to a locations page making it easier for audiences to find a store near-by. 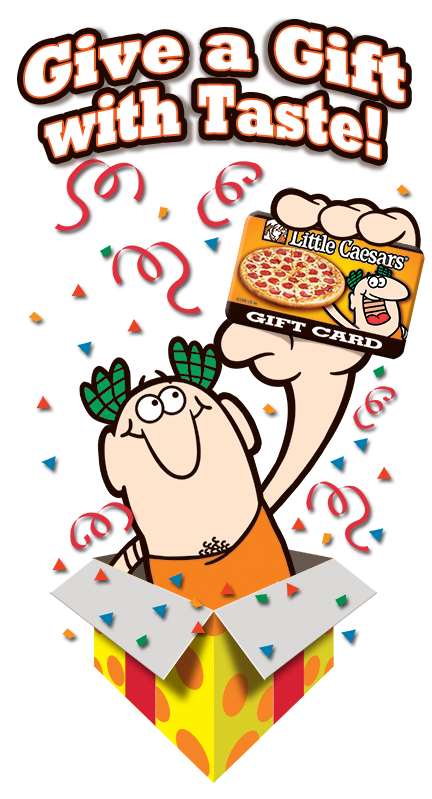 Little Caesar’s has a gift card program where users can purchase a Gift card directly from the site. Little Caesars Pizza, known for its HOT-N-READY® pizza and famed Crazy Bread®, is the largest carryout-only pizza chain in the world with locations in all 50 states and 18 countries and territories worldwide. Posted in Advertising, Consumer, Digital, Social Media. Tagged advertising, Digital, Facebook, Little Caesars, Social Media, Twitter.